Video - Imagine walking down your street and finding free fresh produce ready for the picking. 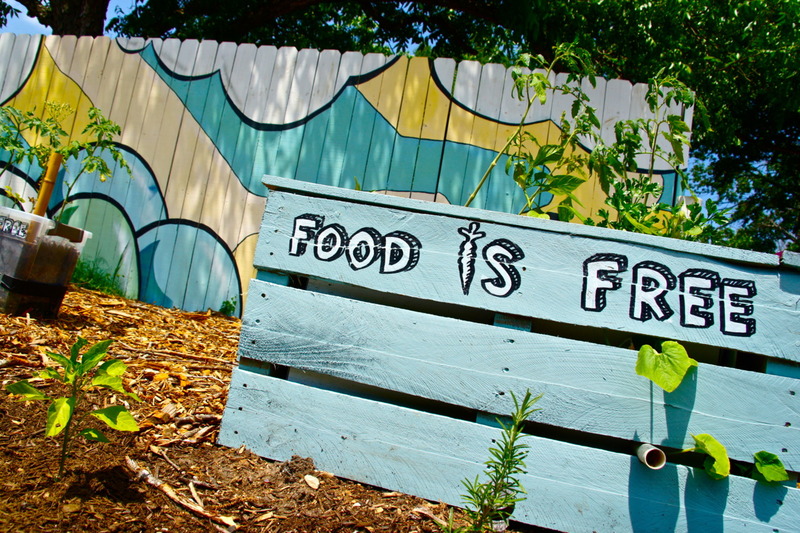 The Food is Free Project (www.foodisfreeproject.org) is creating a repeatable model of growing food and community. Their vision is to empower people with the knowledge and know-how of to transform their neighborhoods, step-by-step. They are teaching people how to build front-yard community gardens using salvaged materials and produce food for all to share. With this initiative, neighbors are not only growing food together, but are becoming friends and supporting one another. Check out this great resource on how to get started with your own front-yard community garden and become part of the Food is Free Project: How To Start a Food is Free Project PDF. Here’s a video explaining how this project got started, and below, another video walks you through the process of building a wiking bed garden out of salvaged materials. Want to support the Food is Free Project? Check out their Indiegogo campaign.